Hi, I'd like to show you this page I found on Rooms for Less's website. 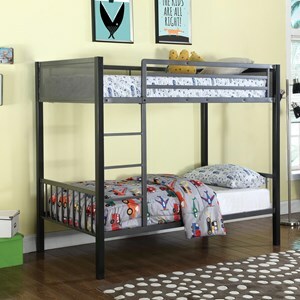 This fun and stylish full-over-full size bunk bed comes in a sleek gunmetal finish for a piece that will fit in easily with any style of decor. 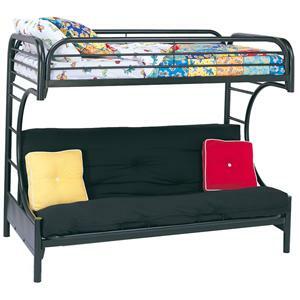 The metal curve design softens the modern feel and sturdily supports the bunks. Whether you are seeking space saving features or simply a fun and attractive piece, this design will give your child's bedroom or guest room an updated look you won't easily tire of. 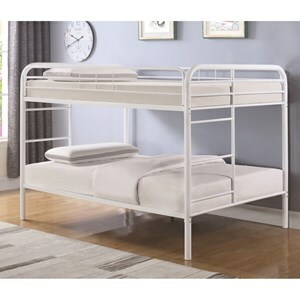 Attached ladders and top-bunk guards rails provide additional safety features. 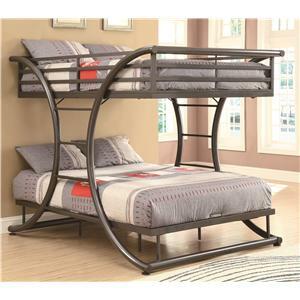 The Bunks Full-over-Full Contemporary Bunk Bed by Coaster at Rooms for Less in the Columbus, Reynoldsburg, Upper Arlington, Westerville Ohio area. Product availability may vary. Contact us for the most current availability on this product. 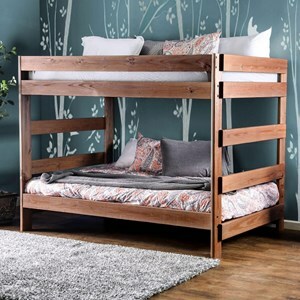 460078B2 Full/Full Bunk Bed Box 2 1 0" 0" 0"
460078B1 Full/Full Bunk Bed Box 1 1 0" 0" 0"
Whether you are seeking space saving features or simply fun and attractive designs for your child's bedroom, the Bunks collection will have what you are looking for. 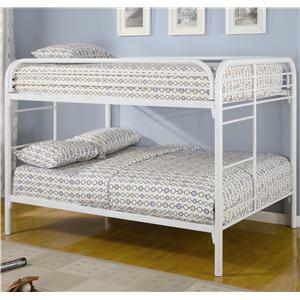 Constructed from either solid hardwoods or metal, each bunk bed and loft bed has unique characteristics. Further, full length guard rails provide security, while convenient coordinating ladders offer offer easy access to top bunks. With a variety of styles to choose from, pick the perfect look for your child's individual space and style. 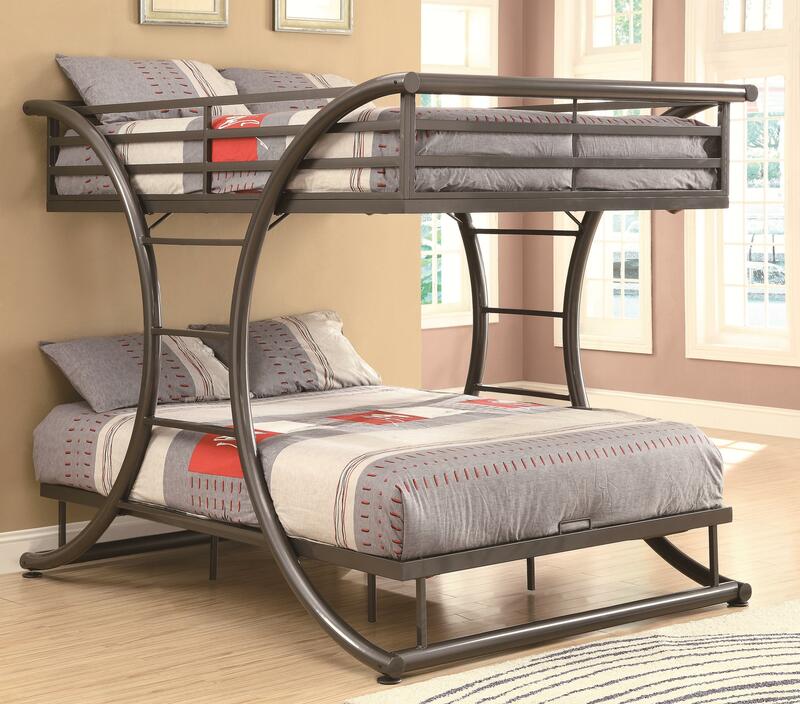 The Bunks collection is a great option if you are looking for Casual furniture in the Columbus, Reynoldsburg, Upper Arlington, Westerville Ohio area. 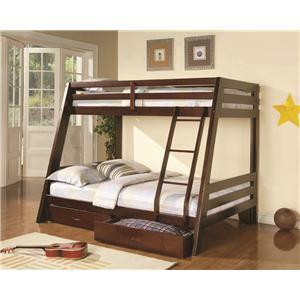 Browse other items in the Bunks collection from Rooms for Less in the Columbus, Reynoldsburg, Upper Arlington, Westerville Ohio area. 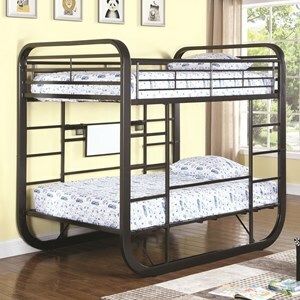 This item has been tagged as: Youth Bedroom Furniture, Furniture for Kids, Furniture for Children, Youth Bedroom Set, Bunk Bed, Kid Bunk Bed, Metal Bunk Bed, Loft Bunk Bed, Child Bunk Bed, Twin Over Full, Bunk Bed Futon, Bunk Bed with Desk, Bunk Bed with Ladder, Bunk Bed with Stairs, Bunk Bed with Trundle, Bunk Bed with Storage, Bunk Bed with Drawers, Bunk Bed with Built in Dresser, Bunk Bed with Steps, Single Bunk Bed, Double Bunk Bed, Bed Bunk, Bunkbed, Loft Bed, Loft Bunk, Bunk Bed Twin / Full, Twin Bunk Bed, Twin/Futon Bunk Bed, Bunk Bed Twin/Full, Twin / Twin Bun Bed, Bunk Bed with Extension, Full Size Bunk Bed, Twin Size Bunk Bed.